This tiny sterling silver Irish dance charm is design to fit into an Aura locket. This Irish dance shoe charm perfectly sets inside of an Aura necklace or bracelet locket. The sterling silver Aura charm measures 1/4" tall. 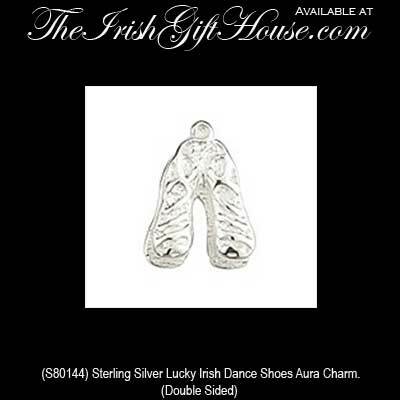 The Aura dance shoe charm is made in Ireland by Solvar Jewelry and is gift pouched, complements of The Irish Gift House.